Welcome to RTI Trucking where we strive not only to meet your expectations, but also to exceed them! We have 20+ years of experience in the transportation industry, which allows us to provide high quality service at all times. Your business is important to us and our hope is to assist you with all of your transportation needs so that your company will continue to operate smoothly. Our staff members will always treat you with the courtesy that you deserve. We believe in treating our customers as the dignified business people they are in their daily lives. 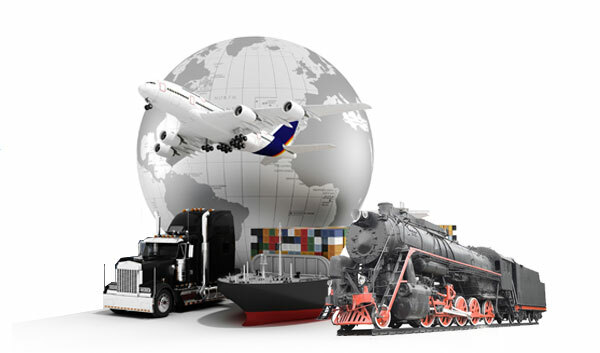 On top of this, whatever freight we transport for you will be done so in a fast, safe, professional manner. We provide quotes upon request. Just provide TL or LTL, shipping location, consignee location, number of pallets, class, weight and commodity to us through our contact information in our Contact Us section. We look forward to serving you. However, keep reading to learn additional information about RTI Trucking. Hi Vinny and Dana, I just wanted to thank you for working with Elgon Italy to get me my color order. They are a new company for us and hopefully they will use your services with more of their clients...I told them about you a couple of weeks ago and how wonderful you both are to work with. Here'a to a potential new client for you and a possible awesome business relationship. My company has used RTI a few times now. I want to give them 5 stars since each time I've had to ship parts overseas there has been very little hassle. Each part values around $80,000 and it's important that we get them to the clients in Europe on time. RTI has delivered each time with easy to do business practices. Customer Care with RTI is stellar! These guys were courteous and handled my things like they were their own. The original price quoted was what I got from them! I will use them again for future moves and no doubt a big thanks to everyone who made moving so much easier. Everyone knows what a nightmare moving is. Try curating an art show in New York! This was no easy task and believe me when I say these guys are just amazing! We had some very tricky pieces of sculptured teak wood that could not be damaged. We were able to get everything to the gallery without jeopardizing the integrity of the statues. Thank you RTI! My first job as an event planner was to develop a store front kick off in Paris. Scared to death that our props and the stores featured products were not going to make it on time. The staff at RTI helped me coordinate everything in a professional manner. Much to my delight my life (what was in the boxes) made it there in one piece and a day earlier than we expected. These guys are #1 for shipping and crating. This was my first time using a RTI and we couldn't have been happier! I would recommend RTI to other businesses. The job they did was fantastic. I used RTI to move my inventory from one warehouse to another and I was very pleased with the services they provided. RTI Trucking is a third party company. We provide the combined assets, flexibility and proven reliability of North America’s top freight carriers at competitive rates. Our President Vincent Benedetto and our staff members understand and are fully committed to satisfying each customer to the fullest extent by moving the freight safely and in a timely fashion. In the 20+ years that we have been in business, we have hauled a vast amount of freight safely, efficiently and professionally to its intended destination. We serve small to moderate size manufacturers in all states across the United States. In addition, we cater to customers searching for low rates, quality service and simple operating procedures. Do you fit into one of these categories? Check out the following section to learn additional information about the services we provide. If you have a shipment that doesn’t require a full trailer, or ARE in need of transport for a larger load, we’ve got you covered. Whether by land, or by sea, we see to it that your freight is safely transported to its intended destination, in a timely fashion, and at a low rate! Rail is an economical way to move freight. Do you have a shipping deadline? When it has to be there, air transport will surely get it there. For your most urgent shipments you can rest assured that your freight will be professionally handled! Our team of professional contractors provide the expertise to move your most critical freight shipment safely. We pride ourselves on our timely pick-up and delivery of all flatbed freight shipments. RTI Trucking specializes in third party company. We provide the combined assets, flexibility and proven reliability of North America’s top freight carriers at competitive prices. Our president Vincent Benedetto and our staff members understand is fully committed to satisfying each customer to the fullest extent by moving the freight safely and in a timely fashion.